The Pink Fund is a non-profit breast cancer organization that provides 90-day non-medical cost-of-living expenses to breast cancer patients in active treatment for breast cancer, so they can focus on healing, raising their families, and returning to the workplace. What can be said about such a helpful resource? Thank you is always first but, always feels like it falls short. My prayers have been answered. Thank you so much. When I think "Pink" I'll be thinking of you! For the first time since June, our family can breathe! Organize or attend a fundraiser benefitting The Pink Fund to help deliver Real Help Now to breast cancer patients in active treatment. 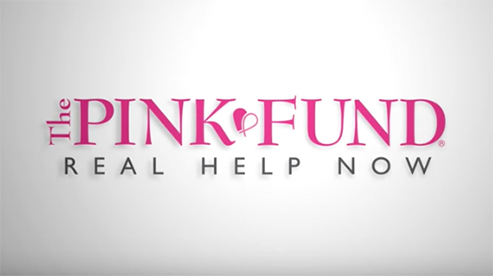 Sign up today to be part of The Pink Fund Community!